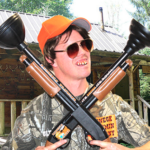 I was doing a little searching online Thursday for redneck items (being the redneck I am) and ran across a pretty fun item I have not seen before. It is called the ShellBobber. The first thing I seen when I visited their site was Willie from Duck Dynasties holding one and knew I had to check them out. The bobber itself looks like a shotgun shell and I thought it was going to be another cheap knickknack. Then I saw how it set in the water. Most bobbers sit with the line side up in the air. I have never liked that because the fishing line can get twisted on windy days. 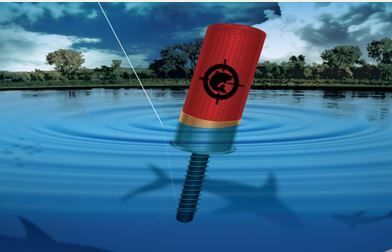 The ShellBobber sits the line side down in the water with the shotgun shell side on top. That is a pretty unique design. The price isn’t to bad either, about $6.50 for a pack of three of them. I also noticed they carry other items as well. Mostly promotional stuff but they have a pretty good logo and design and the prices are good as well. Most logo type shirts and hats are expensive but they are selling them at a price that makes sense. So I decided to write about this almost right away so I contacted them to get a little more information about the FishingAmmo ShellBobber and the two guys behind it. Their name is Jeff and Dusty, they have been life long friends that grew up fishing and hunting. The story goes that they were out duck hunting and noticed a shell floating in the water after shooting at a duck. That started the idea behind the ShellBobber which turned into a business called Fishing Ammo. They got on a show that I watch called Shark Tank which aired on 04/25/2013 to pitch their idea to the group of investors. I tried to find a video of this episode but could only find Amazon selling it. Their pitch was good enough to get an offer from shark, Mark Cuban which invested and is working with them to take the ShellBobbler to the next level. They will be back on Shark Tank for an update show airing on 10/25/2013. Make sure to watch. 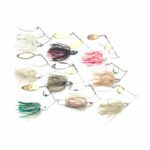 The reviews I have found on this have all been good and it looks like it would be a good gift for someone that likes to fish and hunt. Jeff and Dusty seem to be regular guys like us, even getting caught drinking Busch Light on one of their YouTube videos. I wish these two the best luck, I will be getting some off of their site. 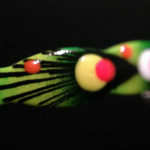 You can also check FishingAmmo out on Facebook here to check out what others think about them.